The series that I obviously had to complete. A couple of days ago, my bookish Twitter list was buzzing with excitement, which left me a bit at a loss because I wasn’t paying much attention to that lately with the move back to the house and such. 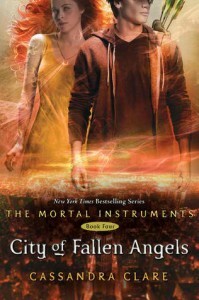 It didn’t take me long to figure out why they were excited — it was the release date for City of Fallen Angels, the latest installment in Cassandra Clare’s The Mortal Instruments series. I was all: Oh okay. I can still wait. I can still wait. Don’t get me wrong here. I liked The Mortal Instruments series, and it was one of the books that got me reading again. I loved City of Glass, and I thought the ending was just perfect, so the idea of releasing another three more books after the trilogy has ended didn’t sit quite well. Still, I was curious, and that didn’t lessen the love I had for the original trilogy. But in the time between reading City of Glass and now that City of Fallen Angels has been released, I have read so many other books in between, both good and bad, that somehow, the excitement and need I had to always complete a series has diminished, almost to a little disinterest over the entire thing. Never mind that I am on book buying fast for Lent. I feel that even if I wasn’t on fasting, I still wouldn’t prioritize buying this. I haven’t even read Clockwork Angel yet — I don’t even have my own copy. Now, I don’t feel that need to complete. Maybe it depends on how much I liked the first two books (I’m setting two because sometimes the first book isn’t always that good and sometimes it picks up on the second book). Sometimes it depends on how much I like the author. Sometimes, it depends on the hype (but I’m very wary of hype nowadays). Maybe this is me being choosy, or growing up in terms of my choice of reading. Cliffhanger endings are a different story, though, but again, it would depend on how much I loved the first book before I decide to get the next one, if there was a next one. 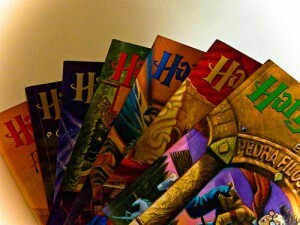 Have you ever felt the same need I used to, to complete a series no matter how bad it may be? Were there series you used to love but now you don’t feel the need to get them all? Or were you never a series person and you’re happy with just one? Oh but I love standalone novels. I like the feeling of accomplishment it brings when you get to the last page. I got series books too, but mostly depends on how I enjoy the first book, especially the author writing. Stories can be develop but If I don’t like the style of writing I don’t usually get the next book. I also buy boxed set books. I usually wait for a series to be completed before I buy the whole set, which is one of the reason why I am left behind with new releases. I just don’t want waiting every year for the next books. It’s frustrating somehow.